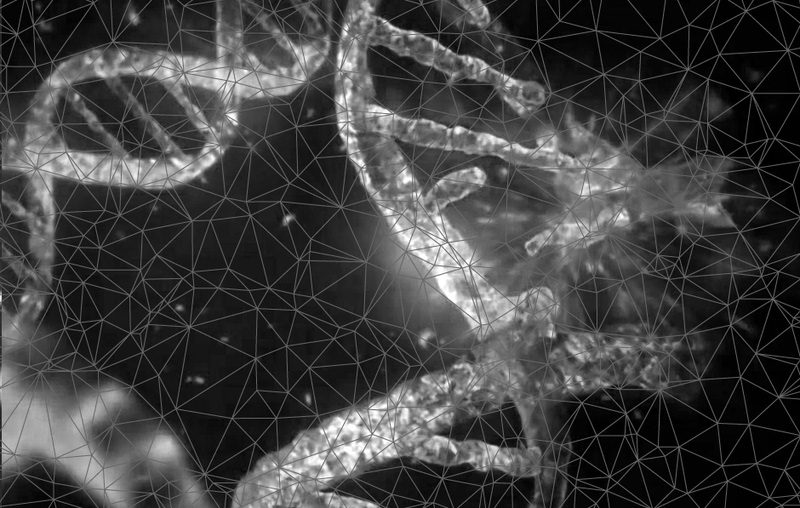 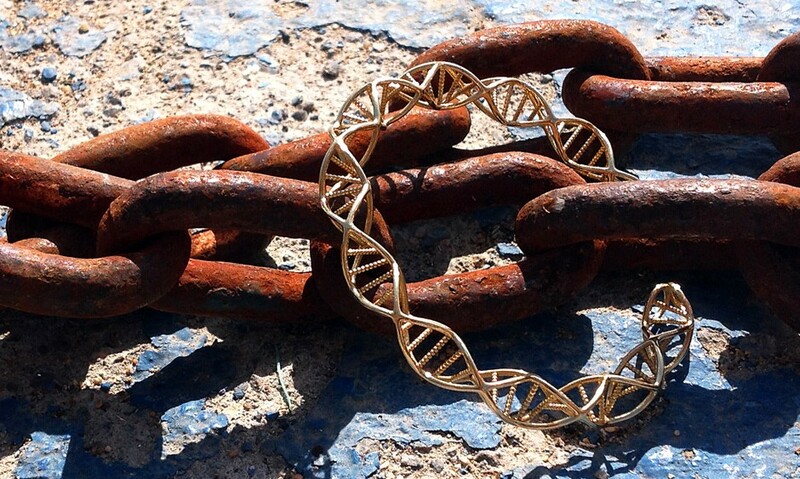 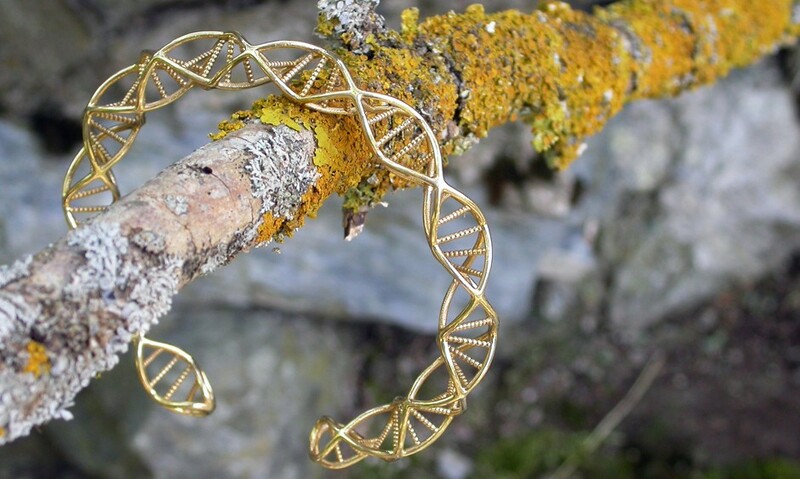 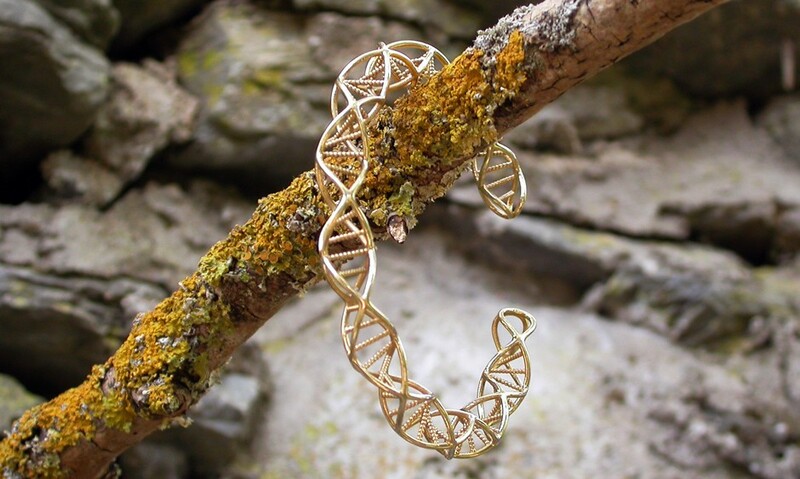 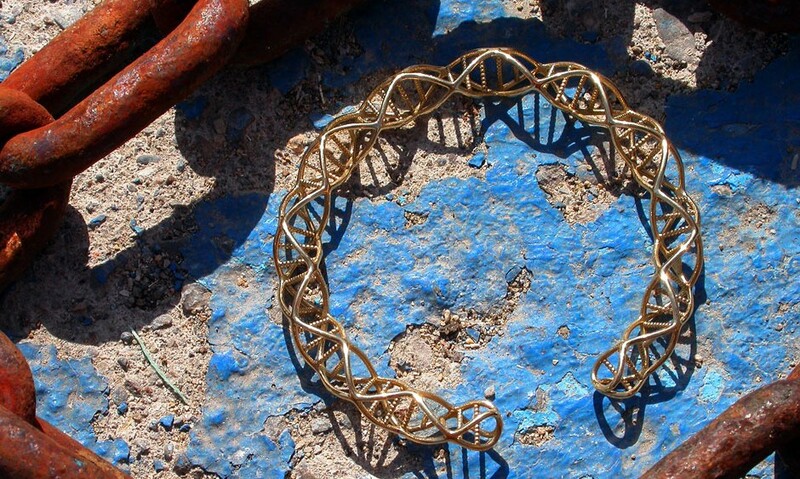 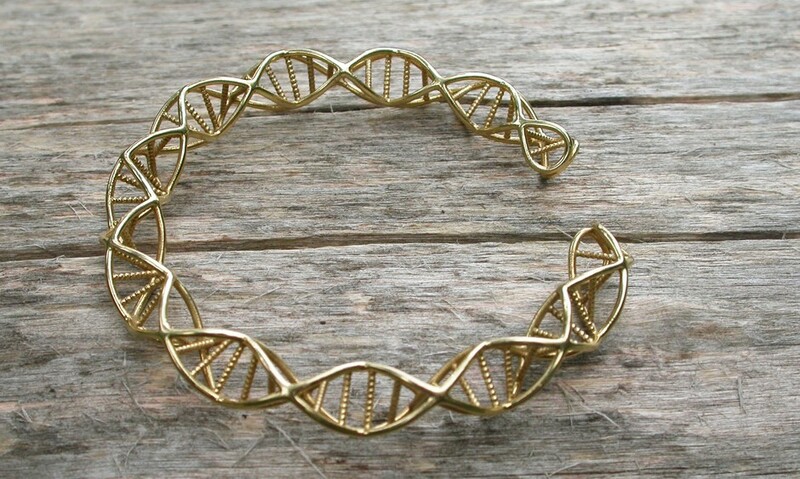 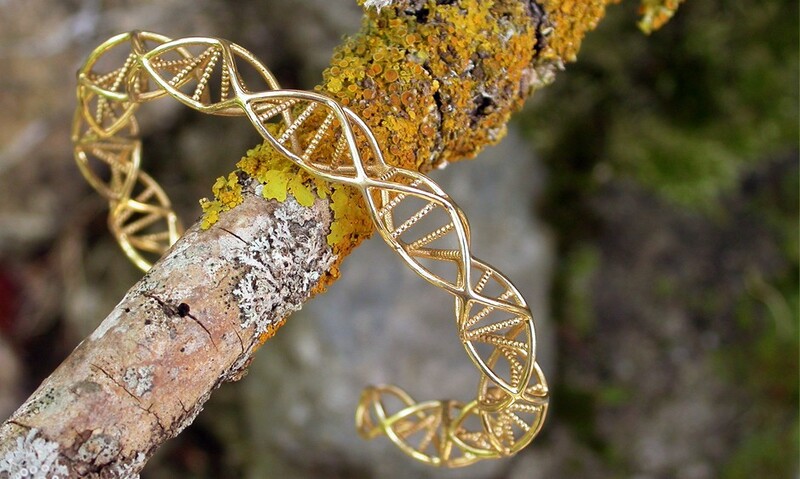 Inspired by the double-helix structure of DNA, the molecule containing human genes, a spiral of two DNA strands, each containing a long chain of monomer nucleotides, wound around each other. 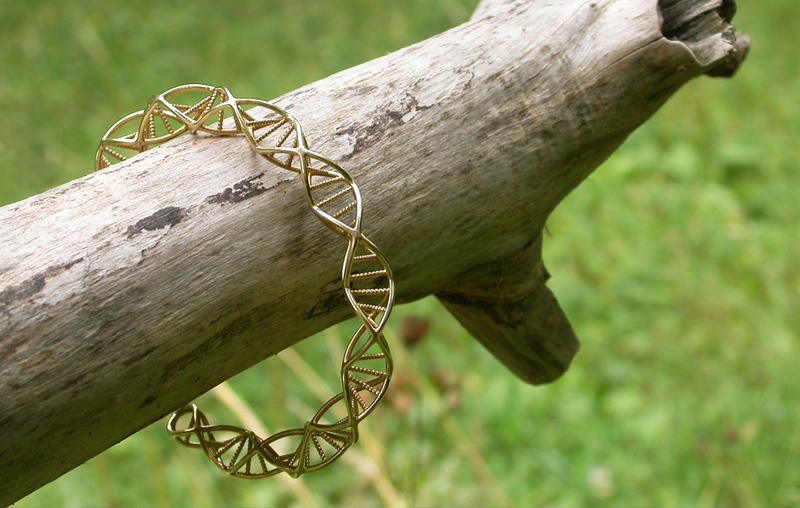 This jewel features a C-shape design giving some flexibility to fit to the wrist. 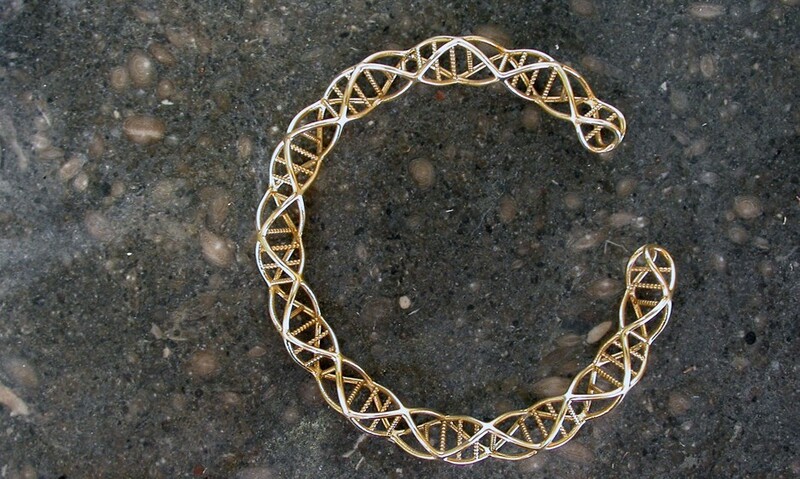 Hence we have considered it when designing the jewel and checked the mechanical properties of the manufactured jewel in solid gold using casting process.